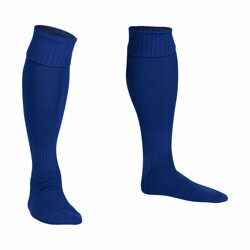 All our adult football socks are designed in house and are fully tested by industry specialists. Whether you’re looking for a plain socks or one with a little extra detail, Pendle will have you covered. We have a wide range of styles, colours and sizes to choose from. Our comfortable socks are made from 100% nylon, and are constructed from heavy weight pro quality material, complete with a cushioned sole and elasticated ankle support. 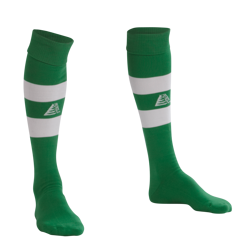 Gone are the days of needing tape to hold your socks up, because all our football socks are also made with an elasticated turn over top. 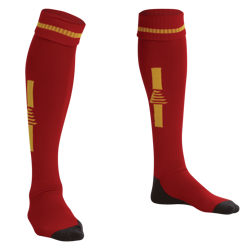 Every range of Pendle football socks offers amazing quality at superb prices, with typical savings of up to 40% on the recommended retail prices of those advertised by other retailers, and all our quality football socks are despatched the same day if ordered before 2.00pm. Therefore, it must be a no brainer to consider Pendle as your main football kit provider. Also view our full range of Adult Football Shirts and Adult Football Shorts for your perfect football kit.